A Solar/Battery Energizer System is your ideal choice for those without reliable mains power. 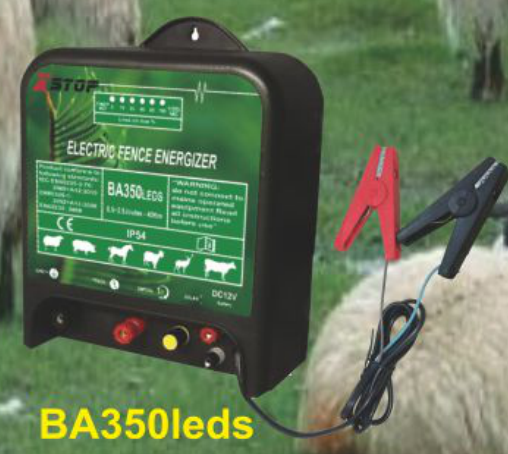 The battery be connected outside.Computer equipped with a dimmer and a light running.Post solarization,with an excellent report delivered intensity and consumption.This item is especially recommended for difficult situations protection.Protection of corps against the big game,managment of summering cattle and sheep,and equipped with LED indicator to show loss on fence line. LED Indicator lights bar shows fence battery and voltage working performance. Weatherproof designer with a rugged, heavy-duty case protects the circuitry from weather extremes. Xstop® BA350LEDS energizer is built to CE safety specifications and IP54 approved. Quick glance indicator light shows battery and fence voltage performance. Looking for ideal Aging Resistant Fence Charger Manufacturer & supplier ? We have a wide selection at great prices to help you get creative. All the Weather Resistant Fence Energizer are quality guaranteed. 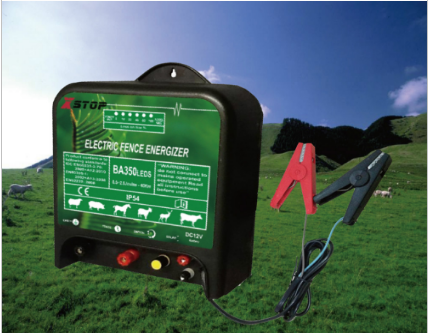 We are China Origin Factory of Fence Charger for Cattle. If you have any question, please feel free to contact us.